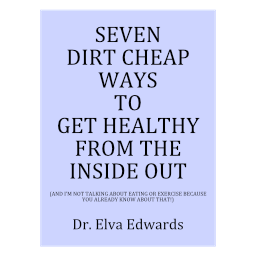 Gifting – Dr. Elva Edwards, D.C.
As people age, they need less “stuff” and often they need more help: help with their body. Much of the time, people don’t know how to help so I have a few suggestions. If someone has pain, the cbd cream I sell tests well on almost everyone. The feedback I get from people is they like it. It is in the form of a body butter. It doesn’t take much to make you feel better. It is worth a try. It is 45.95 plus tax. As you might know, I have tested a number of these in my practice and this is the one that tests the best. Another gift idea is the socks! I’ve talked about them before. You can see them on my website or in my office. I have them for sale or you can order them off my site. The reason I really like them is they increase my balance. They also give more stamina, so if someone is on their feet all day, they will appreciate a pair of socks. They increase athletic performance, like your golf game. They increase range of motion too. I know, they sound magical, but they aren’t. On the bottom of the sock is patented information that stimulates the neuroreceptors all the way to the brain. And, did I mention, they enhance brain function too!